No really, someone asked him that once. The Spirit of Christmas at the Winchester Mystery House. In 1884, Sarah purchased an unfinished farmhouse in the Santa Clara Valley and commenced adding onto it--for the next 38 years. At the time of Sarah’s death in 1922 the house spread over six acres and contained 160 rooms, 2,000 doors, 10,000 windows, 47 stairways, 47 fireplaces, 13 bathrooms, and 6 kitchens. Why Sarah kept building all those years remains a mystery. Was she distraught over the deaths of her husband and infant daughter? Did she believe that continually building would somehow appease evil spirits? Was she just a kindly woman who chose to spend her money supporting local builders, carpenters, landscapers and artisans? Whatever the reason, the continuous construction resulted in a labyrinth of rooms and hallways, staircases running into ceilings, doorways leading to nowhere and all manner of building oddities. 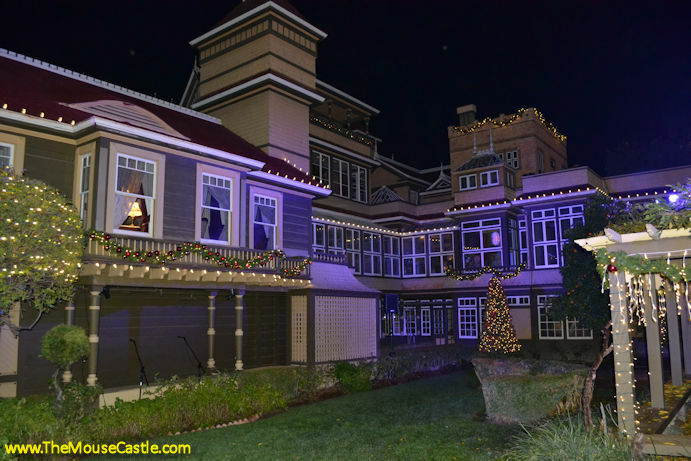 You can still tour the house today and marvel at its mind-boggling construction and design. 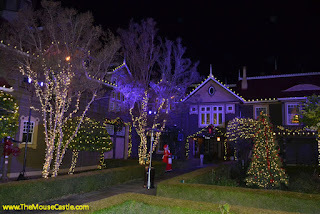 Visit during the holidays and you can see the house decorated in Christmas finery with over 20 custom designed Christmas trees. On select nights you can enjoy like I did the Spirit of Christmas with carolers, festive beverages and holiday treats. Don’t be surprised if you see some snow fall too. 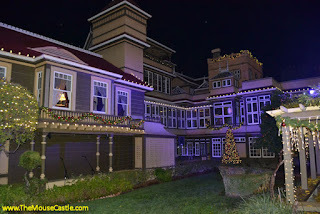 Here to tell us more about the Winchester Mystery House is tour director Janan Boehme, my second guest today in The Mouse Castle Lounge. 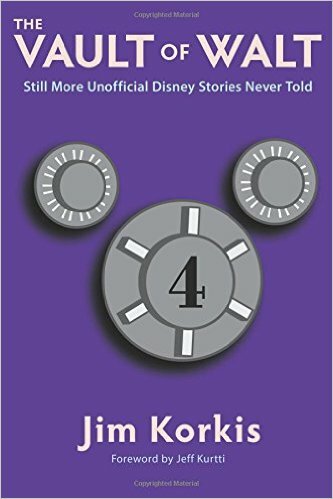 Secret Stories of Walt Disney World and The Vault of Walt: Volume 4 are published by Theme Park Press.